Are your heating and cooling bills getting out of control? If you are looking for a more efficient way to heat your Archbald home in the winter and cool it in the summer, a heat pump is what you need. Heat pumps have been around for years, but many are still unfamiliar with the technology. Heat pumps operate very similarly to air conditioners. When it’s hot outside, an air conditioner pulls heat out of the air in your home and uses a fan to return the cooled air. A heat pump operates virtually the same way in the winter, but rather than pulling heat out of your home, it pulls heat from the outside air and blows it into your home. Since heat pumps do not require burning a fuel to create heat, they are one of the most energy efficient heating systems available for purchase. If you’re interested in a heat pump installation in your Archbald area home, contact the experts at T.E. Spall & Son. In addition to exceptional installation services, we also provide replacement, repairs, and maintenance! 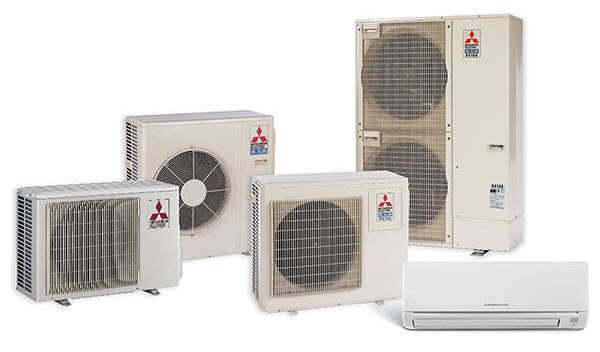 To schedule your heat pump service in the Archbald area, contact us today, or learn about Mitsubishi heat pumps here! Are you ready to upgrade your current heating system to a more energy efficient heat pump? We are an authorized dealer of most major heat pump brands! We can assess your home to accurately size a system that will effectively and efficiently heat and cool your home, keeping you comfortable year round. Call T.E. Spall & Son today for a free heat pump installation estimate! Have a heat pump that isn’t working properly? T.E. Spall & Son provides heat pump repair for all brands! If your heat pump is malfunctioning, not effectively heating and cooling your home, or the pump’s automatic defrost cycle isn’t working properly, call T.E. Spall & Son today for heat pump repair! Heat pumps are one of the most reliable and long-lasting forms of heating and cooling on the market. Generally, heat pumps have a lifespan of 10 to 12 years—longer if maintained properly—but they will eventually need to be replaced. If your current heat pump is increasingly giving you problems, requiring frequent repair, or simply not heating and cooling your home effectively, it is time for a replacement. Contact T.E. Spall & Son and one of our heat pump replacement technicians can help you get things running smoothly again! Typically, when people talk about a heat pump they are referring to an air-source heat pump, but another type exists—a geothermal heat pump. Unlike an air-source heat pump which draws its heat from the air, a geothermal heat pump draws it from the ground. Geothermal heat pumps come in one of two styles—horizontal or vertical. The one you’ll install depends on how much available space you have at your home. A horizontal heat pump has a large pipe that snakes it way through your yard at a depth of 4 to 6 feet on average. A vertical loop system requires significantly less horizontal space but requires a hole drilled 100 feet deep or more depending on the tonnage of your system. Aside from this difference, the two system setups work largely the same way. Geothermal heat pumps are more expensive than air-source heat pumps, but they use significantly less energy, have a longer lifespan, and are eligible for a 30 percent federal tax credit! Why Choose T.E. Spall & Son for Heat Pump Service? At T.E. Spall & Son, we have been providing the Archbald, PA areas with heat pump installation, replacement, and repair services for nearly 30 years. Since 1985, we have performed thousands of heat pump services in homes throughout northeastern Pennsylvania. Give us a call today to find out why Archbald area families have trusted T.E. Spall & Son for their HVAC repair needs for nearly three decades! Need more convincing? Visit our awards page to see our national recognition! If you are looking for heat pump services in northeastern Pennsylvania, including Archbald, contact T.E. Spall & Son today! Our expert technicians can provide fast and reliable heat pump installation, repair, and replacement services!